January 30, 2011 | Meagan Miller & filed under CJSR, Edmonton, Executive Director, hiring, Radio, Station Manager. 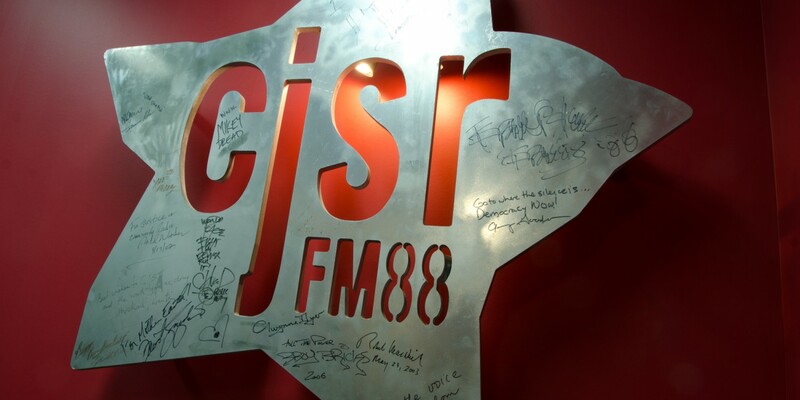 CJSR, Edmonton’s Campus/Community Radio Station, seeks a Station Manager / Executive Director. The SM/ED is responsible for establishing and executing major goals and objectives for the organization. With a problem solving and solutions focus, the SM/ED implements policies established by the board of directors of the First Alberta Campus Radio Association; provides leadership, direction and guidance of Organization’s activities; manages the smooth day-to-day operation of the Association and analyzes and evaluates the effectiveness of all organization operations; develops and maintains organizational structure and effective personnel. Coordinates major activities through subordinates (staff & volunteer) and appraises assigned personnel; represents the organization to regulatory bodies, other agencies, community and campus organizations, donors, funders and supporters, and the general public; ensures that the operations of the organization satisfy the mission of CJSR, which is to enlighten and entertain the audience through high quality and diverse programming that constantly challenges the status quo while fostering a positive learning, volunteering and working environment. Holds a university degree or college diploma in Business (Commerce), Arts Administration or Fundraising/PR from a recognized educational institution. Candidates holding a relevant degree or diploma combined with relevant managerial and employment experience may also be considered for the role. Previous experience managing in a non-profit, volunteer based, charitable organization is preferred. Radio (Community) experience or previous broadcasting experience is an asset but not required experience for this administrative management position. The Station Manager/Executive Director reports to the Board of Directors, First Alberta Campus Radio Association (FACRA). The SM/ED supervises administrative (Executive) staff of the association and volunteers engaged in activities under the scope of the position. Number of direct reports could vary depending on organization need and resources available. Currently direct reports include the Music Librarian, Ads Coordinator, Volunteer Coordinator. The SM/ED also works closely to support volunteers in variety of Committee Chair roles at the station including Programming, Budget, IT, Community Relations (FunDrive), Policy, and HR. The incumbent may be required to work before or after regular office hours or overtime during heavy work periods. The occasional training meeting may be conducted outside of normal working hours. FACRA board meetings are held in the evening. This management position is out of scope and 40 hours per week. The salary range is currently under review. This position is eligible for benefits. Full job description can be viewed here. Only candidates selected for interview will be contacted. Early application deadline is February 18th, 2011. Screening of candidates and interviews may commence prior to the early submission deadline for applications. Candidates chosen for interview may be asked to complete an exercise or work submission as part of the selection process. The selected candidate must successfully pass a police and security clearance for the position. Posting will remain open until a suitable candidate is found.